Even though the Class 6A state cross country finals are still more than a month away, both Bartlesville High School varsity squads appear to be on track for destiny. During this week's state rankings, both the Bruins and Lady Bruins own the No. 1 spot in the boys and girls polls, respectively. The Bruins -- who finished as the state runner-up team last season -- displaced Jenks in the top spot. 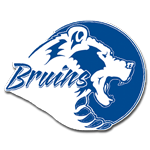 Last weekend, the Bruins galloped past the Jenks Trojans to capture the Holland Hall meet title. Bartlesville boys are 4-0 in meets this season. Bartlesville girls are the defending two-time state champions. They dominated the varsity girls division at Holland Hall. Coach David Ayres oversees the Bartlesville High cross country program. Bon Bennett works the girls' team.